The Chinese pagoda lies on a favorable position of an immense pine hill which local people respectfully call "the hill of Dragons". 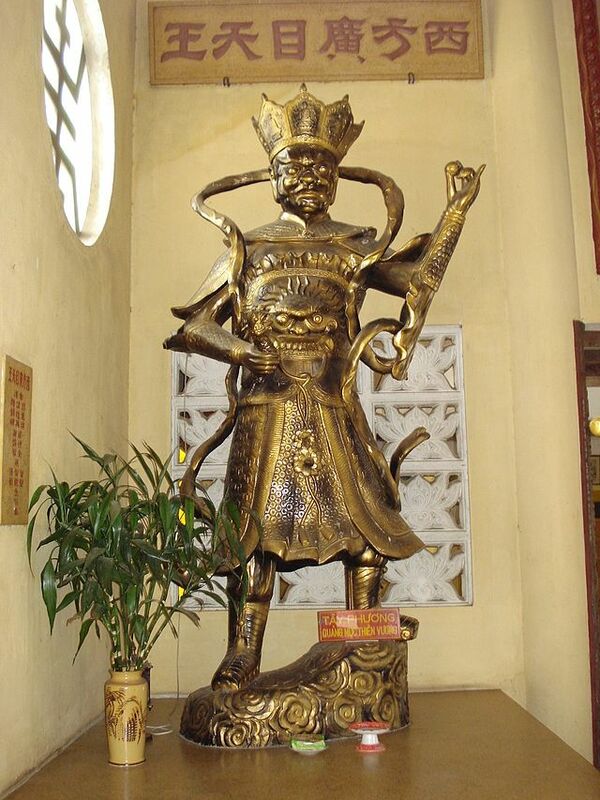 The temple began its construction in 1958, designed and managed by Monk Tho Da from a Chaozhou Association. The pagoda's architecture is greatly unique and is a distinct reflection of Chinese temple style. The temple was initially designed with three separate wooden spaces roofed with iron sheets. But in 1989, to make the pagoda more spacious and ventilated, Mr. 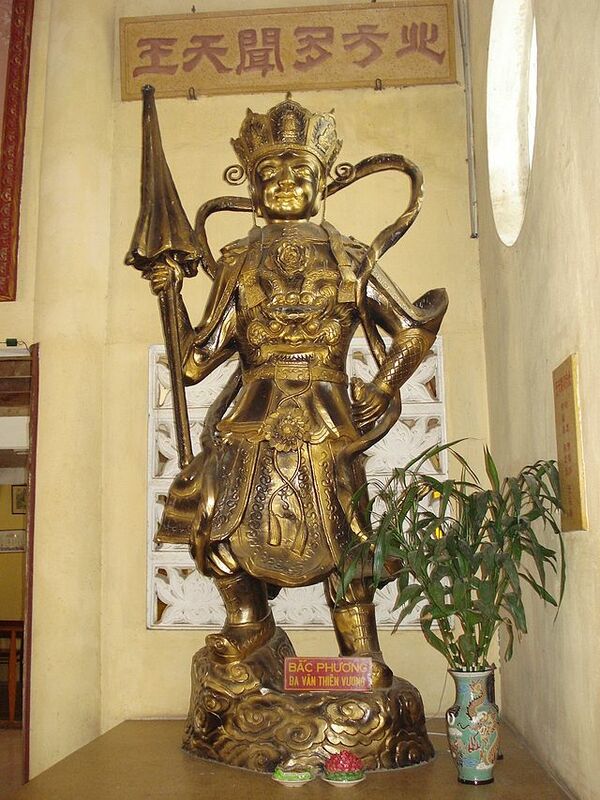 Le Van Canh decided to restore the whole temple, removing one of the spaces. 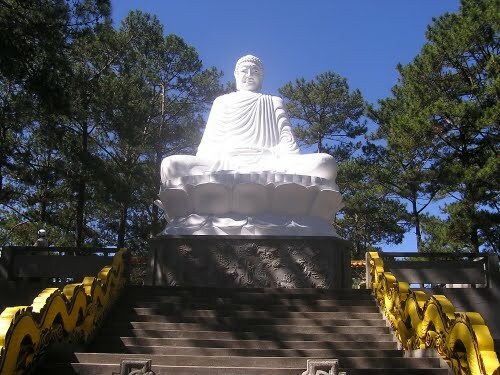 The pagoda has also known as Thien Vuong Co Sat Pagoda (the temple ruled by the ancient Uranus) or Phat Tram Pagoda. 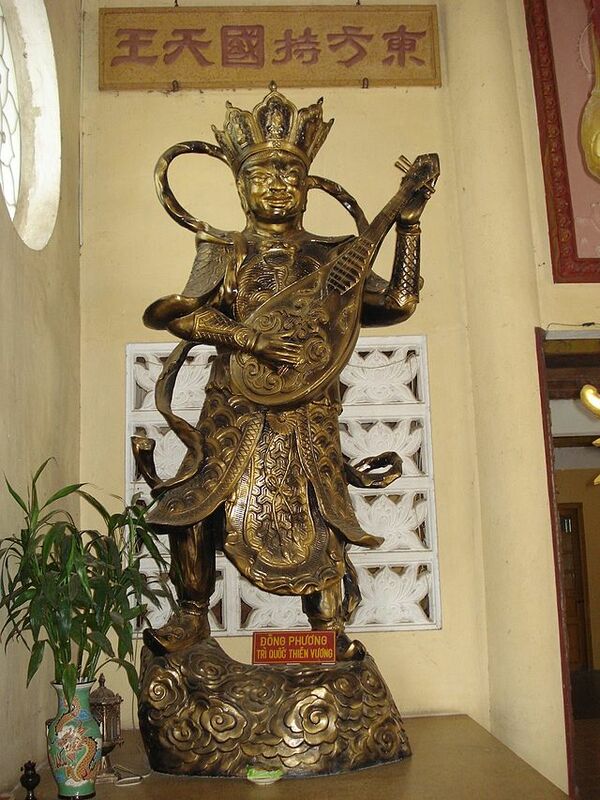 Tu Bi Shrine (the shrine of Mercy) is the main hall of the whole pagoda decorated with a 3-meter statue of Buddha Maitreya of very sophisticated red lacquer and gold trim. 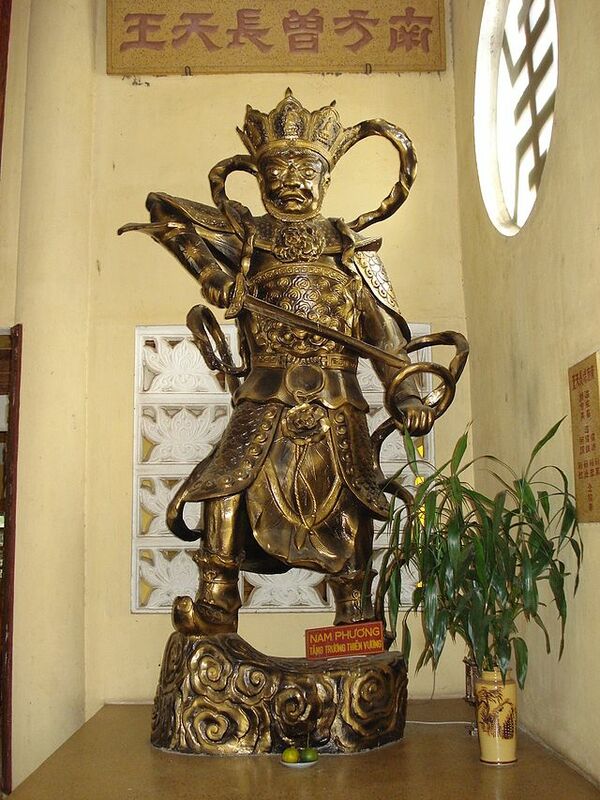 Placed next this statue are another 0.5-meter-in-height statue of Buddha Sakyamuni together with 4 huge statues of the Four Great Heavenly Kings in the two sides of the shrine. There is also a magic turning table in the shrine which attracts millions of tourists' curiosity. Visitors only need to put a hand on the table and order "turning left", "turning right" or "hurry up", the table will move exactly as what it was told. 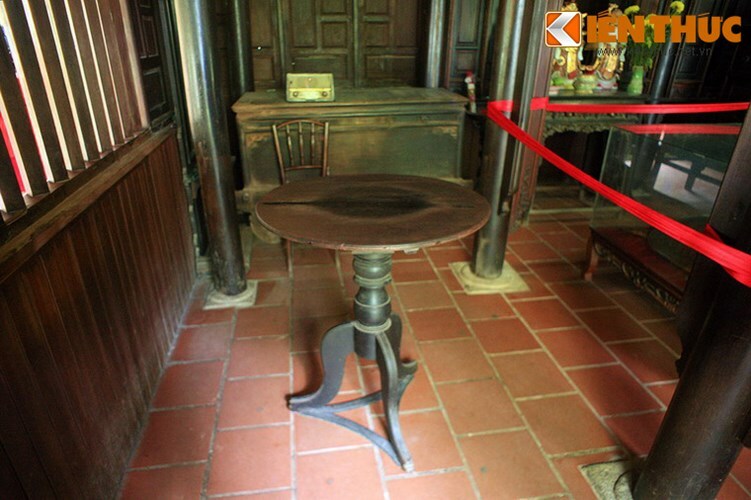 Indeed, the table was made of a special wood (in Binh Dinh province) with great capacitance. That's why, when tourists put a hand on it, the electromagnetic field acts on the rotation of the table. Moreover, the table was especially designed with its separate surface and legs, which makes the legs stand still while the surface rotates. Anyhow, the turning table has been a very interesting affair to tourists and Buddhists coming to visit and worship at the pagoda. 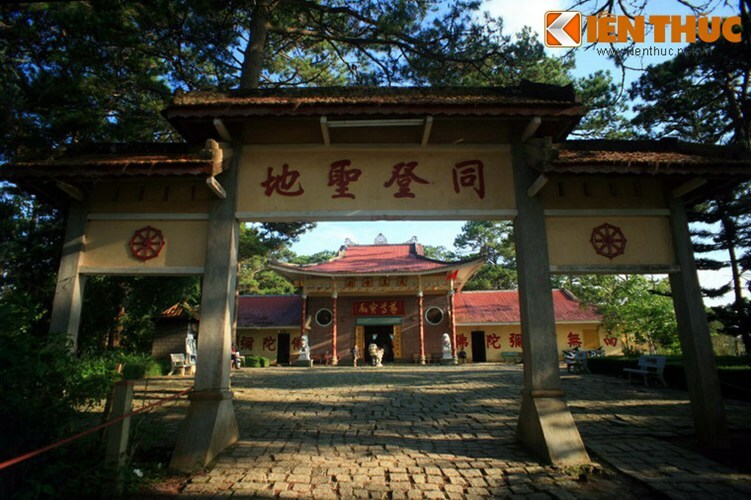 After touring the main shrine, travelers will pass off the temple yard to Minh Quang Shrine (the shrine of Light) worshiping the Three Saints of the West, including Bodhisattva Guanyin, Buddha Amitabha and Bodhisattva Mahasthamaprapta. These are the extremely valuable statues of fragrant wood of 4 meters in height and 1.5 tons in weight that Monk Tho Da brought from Hong Kong in 1958. In addition, there is a 10-meter statue of Buddha Sakyamuni in the temple back yard where Monk Tho Da used to train and mediate Buddhist theories. The architecture of Thien Vuong Co Sat pagoda is strongly influenced by that of Chinese assembly halls. Especially, all of monks there can speak Cantonese fluently. These features make the pagoda unique and matchless over other temples in Dalat.